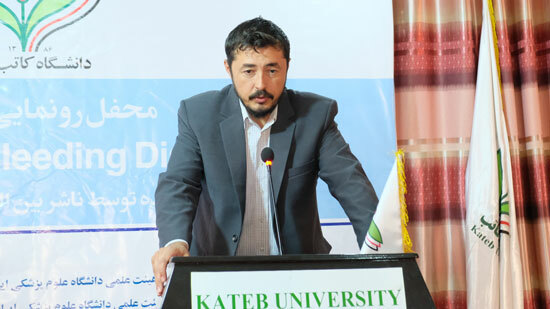 Striving to achieve its vision, which is becoming one of the reputable universities in the region, Kateb University has started working on many initiatives. The initiatives include research and scientific collaborations between Kateb University’s students, faculty members and other organizations. 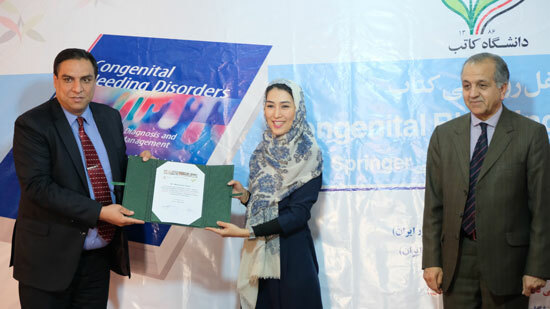 Recently, Dr. Sayed Hamid Mousavi along some other authors have been able to public a book titled, ‘Congenital Bleeding Disorders’. 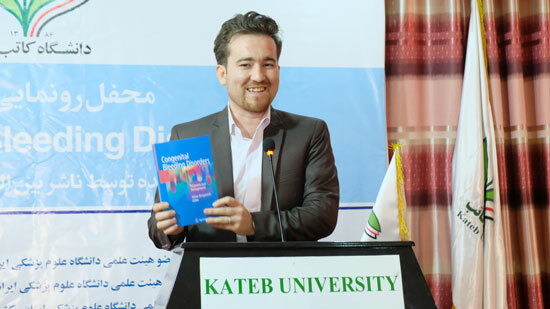 On Sunday October 13th, Kateb University organized a book launch ceremony. 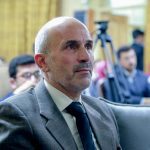 Dr. Hamid Mousavi, the author, Dr. Mahdi Mohaqeq, Head of KU Research Department, Abbas Ali Ramozi, Dean of Faculty of Medicine and Dr. Asmatullah Naebkhil, Director of KU International Relations Department spoke at the ceremony. 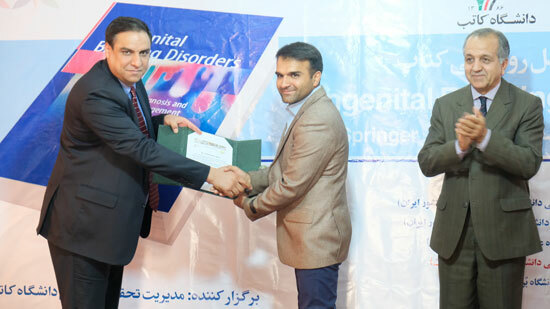 The speakers spoke about the importance of the book topic, about the reputability of Springer as a publisher, about the problems faced by the medical researchers in Afghanistan and thanked the author for his services to the medicine world in Afghanistan. 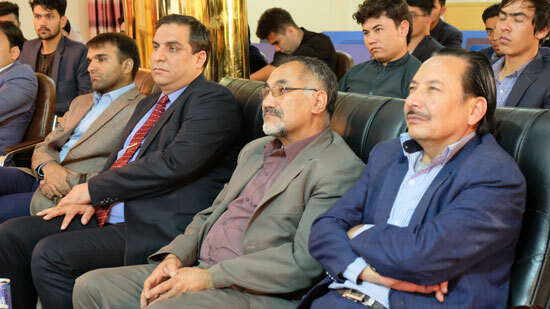 Dr. Ali Ahmad Yosufi, Chancellor, Kateb University, Dr. Najibullah Arshad, Dean of Faculty of Economics at KU, Dr. Rohullah Roein, Director of the Quality Assurance Department, Dr. Zabihullah Iqbal, Head of Para clinic Department, Dr. Arif Attaie, Head of Medicine Department, Dr. Zakirullah Faqirzada, member of Hemophilia Patients Organization, Afghanistan and Dr. Hamid, Vice Chancellor for Academic Affairs, Ghalib University were chief guests of the ceremony.